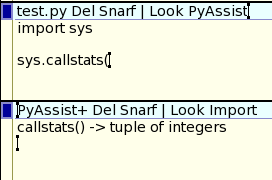 A recent post to 9phackers announced Pyxp, another implementation of Styx in Python. I immediately downloaded Pyxp and tried it out. I had no trouble using it so I started thinking about python clients I could write. Python is still new to me so writing a styx client was an excuse to get more practice. I started with an acme client. I translated the acmewin limbo module I use for most acme-sac clients to python. 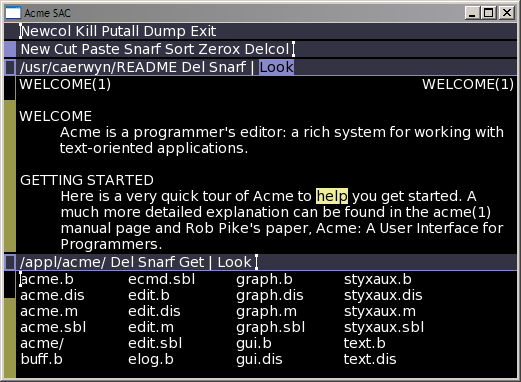 Below is a simple example opening a new acme window and doing some operations on it. Remember to export the namespace before trying it out. I recently saw on Hacker News a repost of Peter Norvig's spelling corrector. I thought this would make an easy first trial of my python acmewin code. I implemented a client to offer spelling suggestions to an editor window. It works somewhat like my earlier acme content assist code. This client opens the event file of another window it is assisting and writes text out to its own window. In this case it offers a suggested spelling for the word currently being typed. Here's the implementation. Note that this is single threaded and it is not reading the event file of the second window. I haven't gotten that far in the Python book. To run this we need to know the id of the window we are assisting, so we need a wrapper to send the $acmewin environment variable as an arg to the script. For that I have a script called SpellAssist. Now that I have a simple assist-like client working I'd like to develop it further. 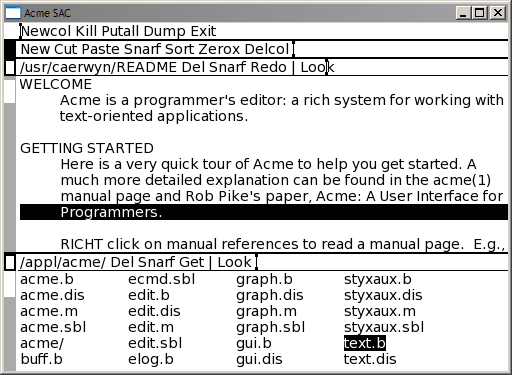 I'd like to try having content assist for python inside acme. 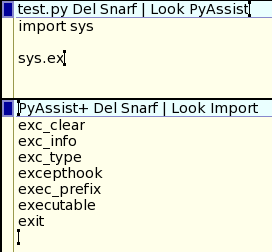 It should be possible to adapt the python code that implements the IDLE editor to this purpose. big.txt the large text file used to train the spelling corrector. Note that the path is hardcoded in spell.py and should be changed locally. 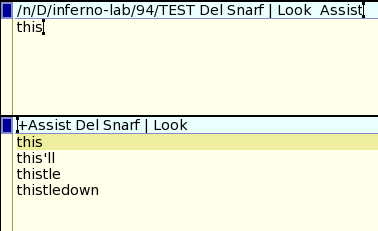 In this lab I create a new Inferno builtin module that calls the vx32 library and get a minimal system working that runs native x86 code, with system calls redirected to inferno's system calls and therefore making the inferno namespace visible to the sandboxed code. "Vx32 is a multipurpose user-level sandbox that enables any application to load and safely execute one or more guest plug-ins, confining each guest to a system call API controlled by the host application and to a restricted memory region within the host’s address space." Inferno, being a virtual operating system, provides its own system call API to limbo applications. The same system calls are available as a C API for use by native libraries that appear as builtin modules or devices within the inferno environment. This C API is a natural fit for building a Vx32 sandbox allowing native code of all kinds to run within inferno, which has considerable flexibility over the namespace made available to the native code. This would allow inferno to be extended in new ways beyond limbo, builtins, or external processes that export styx protocol. It also extends the reach of native code that when run in this hosted environment its use of files take on even greater significance. Please read the vx32 paper, download the code and play with it. I haven't included the vx32 code in the lab. Instead this lab is more tutorial in creating a new builtin module for inferno. This labs code, linked to in the steps below, is all the code necessary to make vx32 appear as a builtin. I've done enough to show some simple examples working, but I haven't defined the full system call interface. So here are the steps in creating a new builtin module linkage. Create the limbo module interface, e.g. /module/vxrun.m. I created the interface to closely resemble the vxrun application in the vx32 distribution. The module contains one function to load and run a native ELF executable. Edit /module/runt.m to include new include the new module interface. This file includes all builtin modules and is used later to generate a runtime C struct. 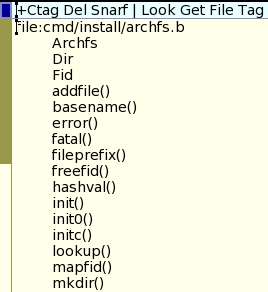 Copy library and header files into inferno-os tree. I copied vx32.h to /include/vx32.h. I created a new libvx32 folder at the root of the tree and created a dummy mkfile. I didn't copy all the source into the tree, I cheated and just copied libvx32.a to /Linux/386/lib. But the emu build will expect the folder and mkfile to exist. So this is a placeholder for now. 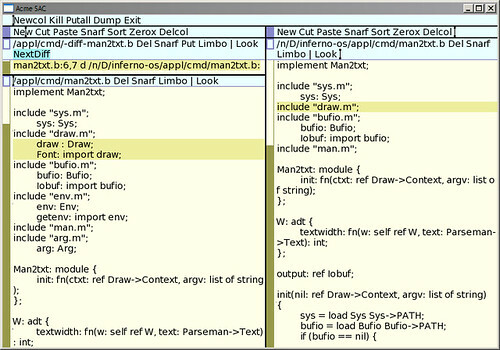 Implement the builtin linkage /libinterp/vxrun.c This is the bulk of the work, where we call the vx32 API and map the system calls defined in the codelet C library that comes with the vx32 distribution, libvxc, to inferno's API defined in /include/kernel.h. The hard work is the filling in the Vxrun_run() function. A lot of this code was taken from vx32/src/vxrun/vxrun.c. To get this to build we need to edit the /libinterp/mkfile. Add vxrun.$O to the list of OFILES, add vxrun.m to the list of MODULES, and add the following rules to ensure the module header, vxrunmod.h, is generated. We can now compile libinterp. The final step is to edit /emu/Linux/emu configuration file and add the dependencies on the vxrun module and the vx32 library. We can now build a new emu that has the vx32 vxrun as a builtin module. We need a limbo command to call the module. I included vxinferno.b in the lab code. But it does nothing more than load the module and call it passing in any command line arguments. I used the vx32-gcc to compile the native code. 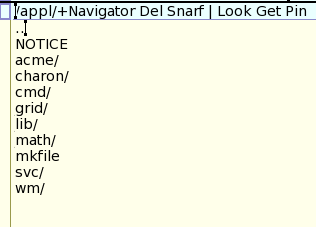 I included one example, cat.c, that would test the system calls, open, read, write, from the inferno namespace. 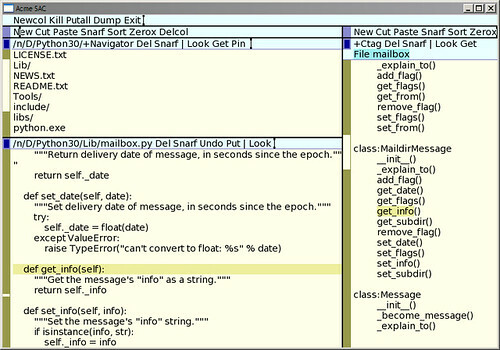 Note that the name of the executable to call from inside Inferno is the host pathname, because vx32 itself is not using the Inferno system calls. This could be fixed by either changing the elf loader, or by using the library call to load the ELF from memory. This lab confirmed vx32 as a builtin to inferno would work. Now it needs to be implemented in full. I'd most like to see vx32 ported to windows. There is an effort to port vx32 to windows, but it seems to have stalled.